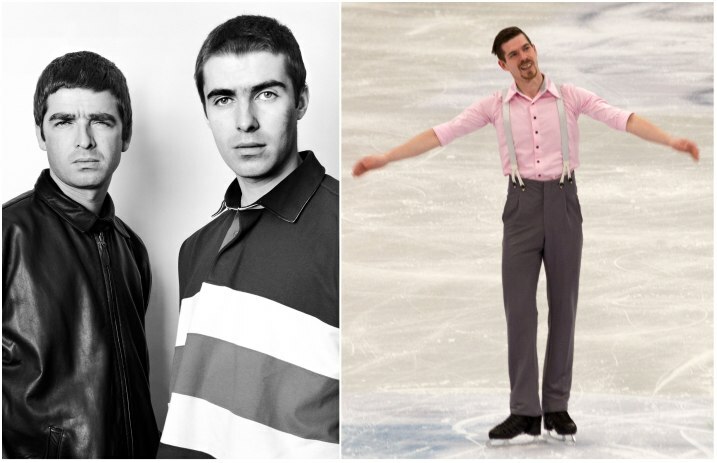 There are many things we'd like to say about Olympic figure skater Paul Fentz's use of a jazz/swing cover of Oasis' “Wonderwall” in his recent routine at the 2018 Winter Games… but we don't know how. Check it out below. This month's Olympic Games in PyeongChang, South Korea, are the first to allow single figure skaters to perform to music with lyrics, as noted by Deadspin. Of course, this has led to some pretty, uh, interesting song choices. Someone at the Olympics is skating to a Harry Connick-like version of Wonderwall and even if you hate Oasis this is a crime. Play this version of Wonderwall in the lobby of my funeral. Fentz fell twice during the run in the men's single short program team event, so maybe the fire in his heart is out? He did the jazz-ified “Wonderwall” thing before, at the European Championships, which you can watch below.